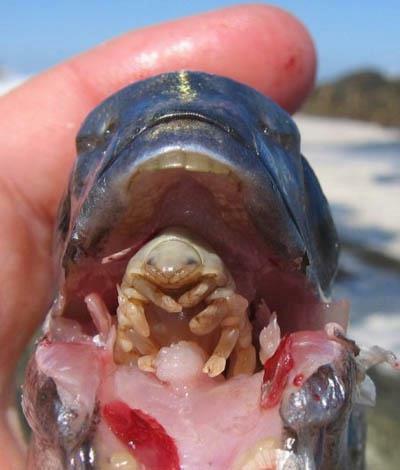 This entry was posted in Religion and tagged cymothoa exigua, fish, host fish, louse, metaphor, parable, parasitic crustacean, religion, tongue, tongue-eating parasite. I see this as a beautiful example of the evidence of the benevolent Creator’s guiding hand. This is a clear view of the Argument from Design. Nothing so elegant as a tongue, or a parasitic tongue replacement that feeds off blood and mucus, could have evolved without assistance from an intelligent being. As the watch comes from the watchmaker, the parasitic tongue louse must come from the parasitic tongue louse maker, who is Lord. Nicely expressed insights! Thank you! Yes. People who understand God’s plan intrigue me. All I know is, he likes to sit and eat popcorn while watching TV shows about children starving to death in Africa, but he doesn’t usually tell anybody why. If anyone doesn’t understand evolution, my recommendation is they go back to their school and ask a science teacher to explain it to them. It’s really not a difficult concept.